Browse: Home / 2014 / March / 12 / Jumping for Joy! 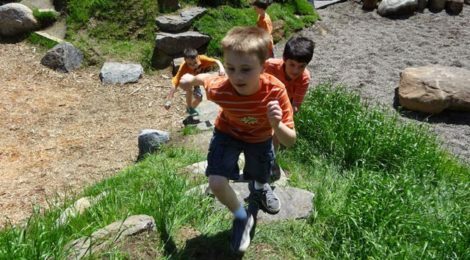 We have great news regarding the natural playground project at Wildwood School! Mahtomedi Schools signed a contract in February with Natural Playgrounds Company to construct the new playground. Work will begin as early as this spring…depending on the weather, road restrictions and Natural Playgrounds’ schedule. Not only that, but we have received donations of 20 trees and 6 shrubs of the 53 that are part of the playground design. We also received a wonderful $400 donation from Krueger’s Christmas Tree Farm in Lake Elmo raised over the holidays in support of the natural playground project. The Krueger family is also lending support and expertise to the tree committee. Click here if you’d like to help provide shade and beauty to tomorrow’s children by donating a tree or shrub in honor or memory of a loved one!